Not stellar yardage by any means, but I’m pretty happy that my pace has noticeably picked up after my slump. If the weather ever cools, maybe it will pick up some more. Kittens, I have been an awful blogger this month, despite having content to write about. I’m currently waiting on some better pictures to share of a project, but for now, I’ll share 2 new WIPs with you. Not on Wednesday, because I was too busy then. The Mister’s schedule is making things difficult, and I’ve been sucked into a silly (and frankly, pointless) island resort game as a diversion. BUT. I’ve actually been knitting while wasting my time building my pixel empire. Are you all Puffing yet? I’m currently at a halt on this while I figure out where I want to go. I do not quite want to make it a blanket, not stuffed like it is. I am torn between a pillow, and some sort of crazy, awesome chair cover. I think my brain has been eaten and I’ve lost my mind. That seems to be the theme for this month. The only real difference I’ve made from the pattern is that I’m picking up stitches to connect as I go, rather than tie all of my hexipuffs together at the end. (This genius idea came from Ravelry’s CrochetAmy.) It’s pretty quick and smooooth. I have big plans to knit this pattern more than once. It’s a sock. I haven’t worked on any of these since the beginning of the calendar year. Toe-up. 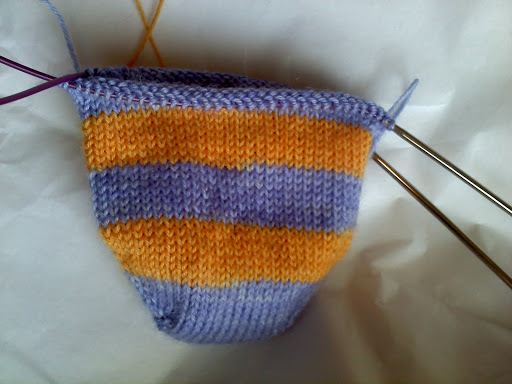 Self-striping. Cable rib detail on the sides. So much to love here. So what about you, kittens? Have you been getting any yarn-y crafting done over the summer? Surely some of you live in climates where it’s not baking hot and the thought of wool in your lap doesn’t make your skin itch? I’ll be stuck in summer’s clutches for another 6 weeks or so, but I’m definitely dreaming of cooler autumn weather. Oh, kittens. July ended up being not-so-good for knitting after all, but you already knew that with the lack of blog posts, didn’t you? It turns out that knitting a worsted weight garter stitch blanket large enough to cover a queen sized bed just hasn’t been my thing lately. My goal (for the second month in a row) was to finish the bottom chocolate brown stripe: ~2.5 skeins of yarn. I knit up the half a skein and just enough of the next to finish my row. At this rate, I will definitely not finish the blanket before our next move. I might get it done in time for Giftmas 2012. However. 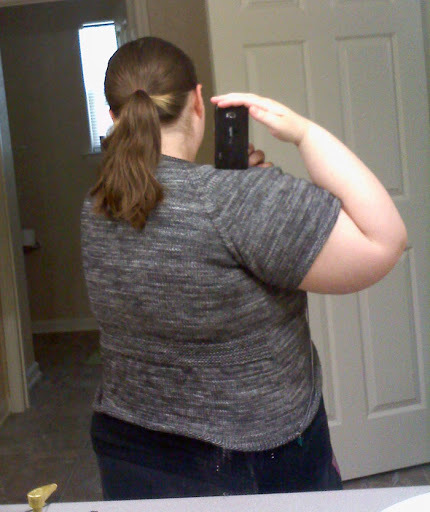 The last few days I’ve been getting back into my cardigan, which I haven’t touched in two months. I still need to see if I’m going to make it with the amount of yarn I have: fear of not having enough has definitely held me back. I’ve been in a place where I just didn’t want to know or deal with it, so it was easier just to shelf the project and distract myself with other things. My goal for the year was to knit up 4 sweater quantities of yarn. This is still the first. Heading into August. I’ve destashed quite a bit of yarn the last couple of months, so room will not be an issue. 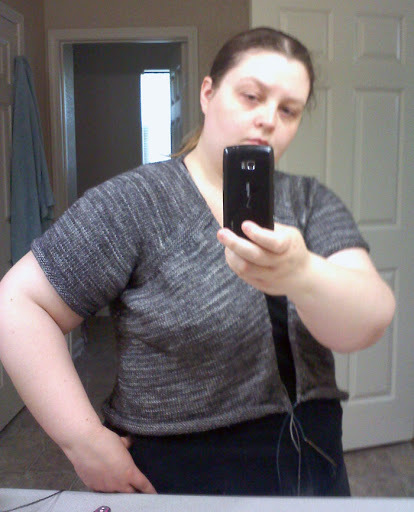 It’s just been…demoralizing as a sweater knitter to have no desire to knit sweaters. I think the bad start to the year with the green tweed one set the tone, unfortunately. At this point, I’m not sure I want to bother making any goals for August. While the list is a nice visual reminder, it does not give me the drive needed to create anything. Well, I managed to eek out one more week’s worth of blocks, kittens. 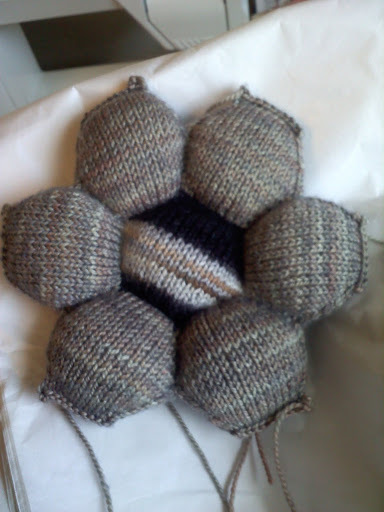 So while I did not catch up a bit with the QAL, I didn’t fall too much farther behind, either. I’d call that a mostly win. This one was pretty nice to me, except one HST that just would not line up properly. I went to fix it and realized today that my fix actually didn’t do what it was supposed to…and I trimmed it up so I sort of have to live with it this way. OH WELL. I’m calling this one done, and I’ll worry about the new problem I created for myself when it’s time to piece the top. Have I mentioned how much I love fussy cutting? Or this pony fabric? I love them both, and I’m hoping to feature ponies in future blocks. 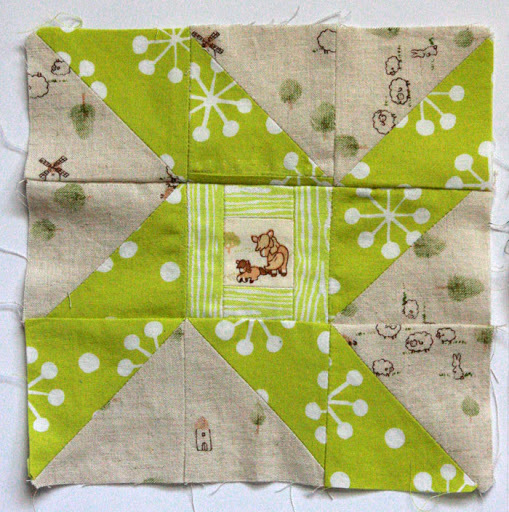 If perfectly honest, I love all of the fabrics in this block. Easiest. Block. Ever. I love it for this quality and how striking the result is. 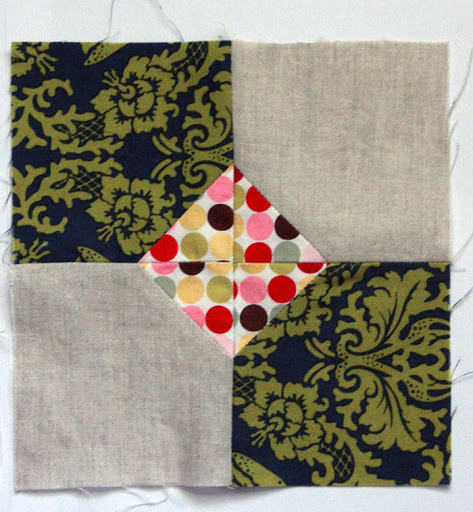 I spent quite a bit of time deciding what fabrics I would use when this block came up. I ended up picking out 3 completely different ones the day of. It’s funny how that works sometimes.